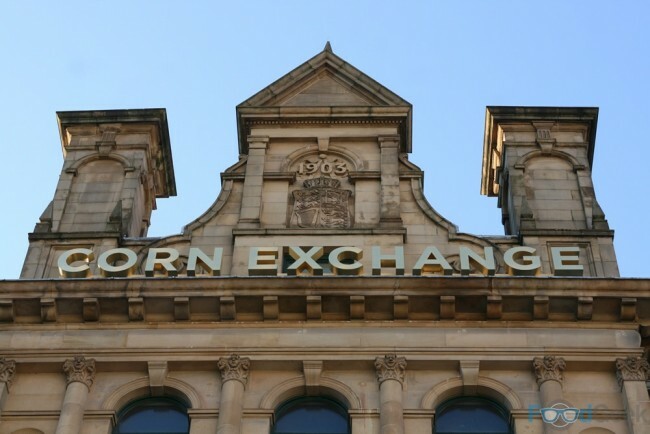 There’s no shortage of places to eat Mexican food in Manchester but most are either market stalls, fast food/takeaway orientated or fused with other cuisines. 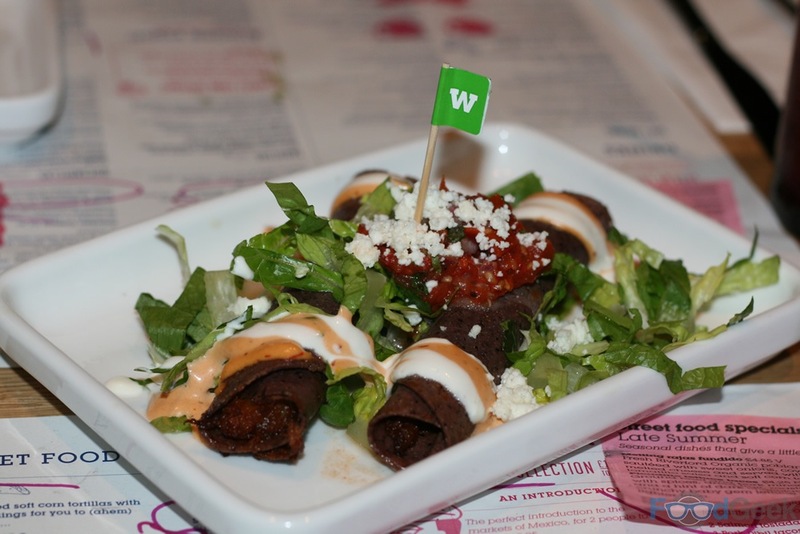 Lucha Libre were the first to really bring the traditional dishes I love to a proper restaurant setting in 2013, before their closure earlier this year. 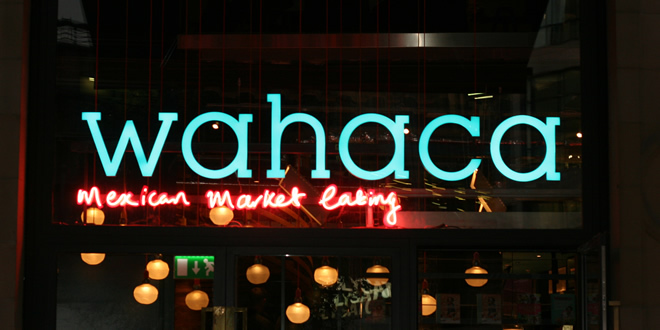 That huge taco sized hole has now been filled by Wahaca, a chain from London run by former MasterChef winner Thomasina Miers. There’d been rumours for some time that Manchester would be getting the first Wahaca outside of London but that accolade went to Cardiff in the end, Bristol followed but it’s finally our turn now. 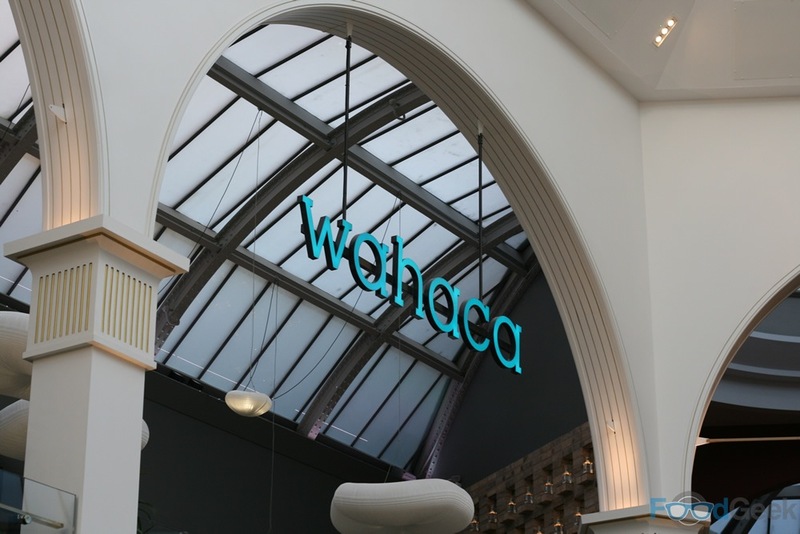 Wahaca opened its doors in Manchester’s newly developed Corn Exchange in September. As a fan since my first visit in 2013 I was always going to go anyway but I was lucky enough to be invited to a special launch celebration. Inside is just like the other Wahaca’s I’ve been to; bright and open with lots of Mexican artefacts and the same Day Of The Dead inspired toilet door signs, well why would you change them? After being seated upstairs we started with a couple of cocktails. 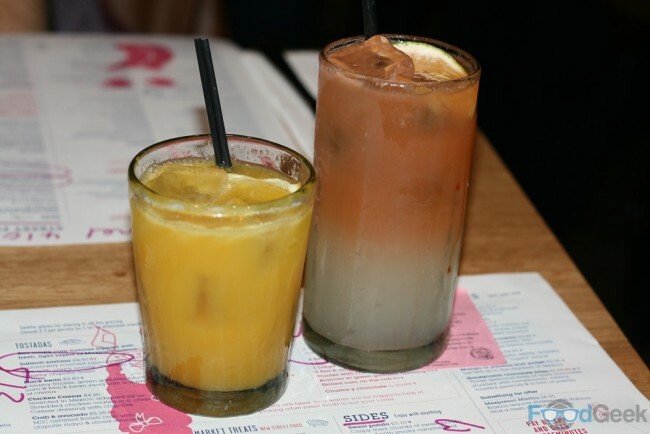 ‘Wahaca Mule’ is a fiery concoction of ginger beer, fresh lime juice and tequila while ‘Passion Fruit Margarita’ is a tropical twist on one of my favourite Mexican classics. 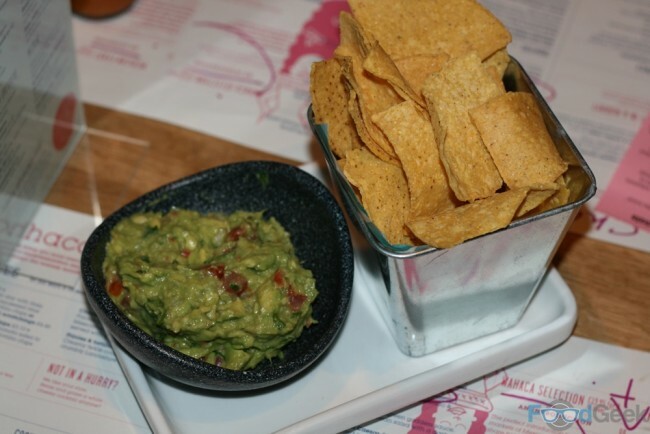 Followed by one of my favourite things in the world, ‘Guacamole’. I’ve developed a serious addiction to the stuff over the last five years or so. 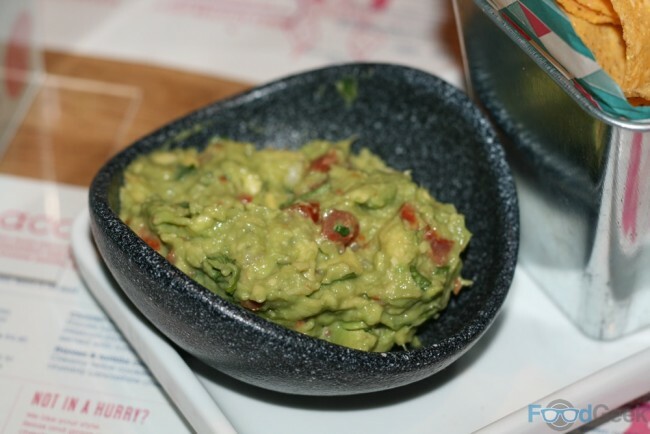 There are many variations from simply avocado smashed with lemon or lime juice to the addition of all sorts of ingredients such as garlic, chilli, coriander, cumin, spring onion and tomato. Wahaca’s is close to how I love it; chunky rather than totally smooth with loads of zing from lime and a bit of a chilli kick. There are a number of ‘bigger’ dishes suitable for eating individually but I like to share several dishes from the street food menu. 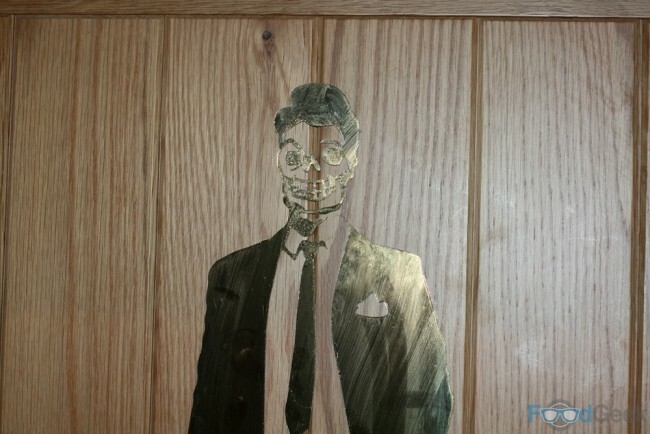 It’s a far more interesting and sociable way to eat. Street food dishes are primarily tacos, tostadas, taquitos and quesadillas; we ordered a couple of each to get a good range. 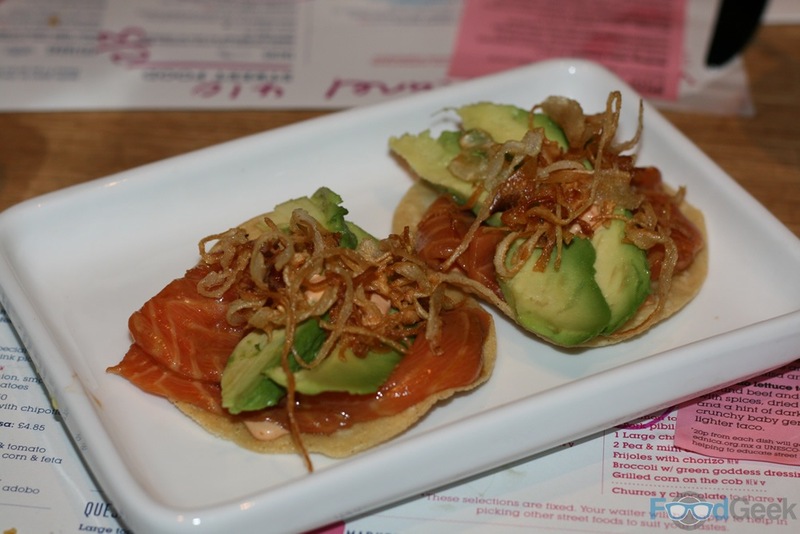 Like most tapas style restaurants dishes are brought to the table as and when they’re ready. First to arrive were tostadas; ‘Salmon Sashimi’ and ‘Crab & Avocado’, topped with salmon sashimi, avocado and crispy onions with chipotle mayo and crab with chipotle mayo & sliced avocado. 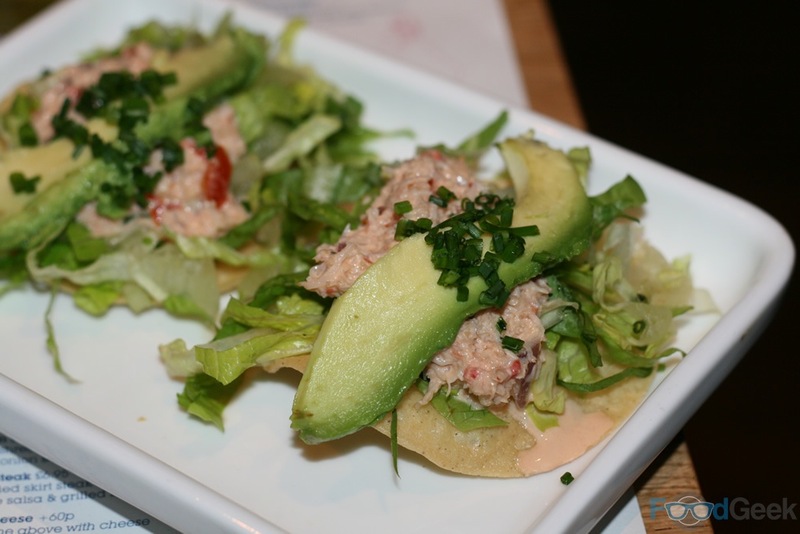 The seafood was beautifully fresh and the soft textures a great contrast to the crispy tortillas. 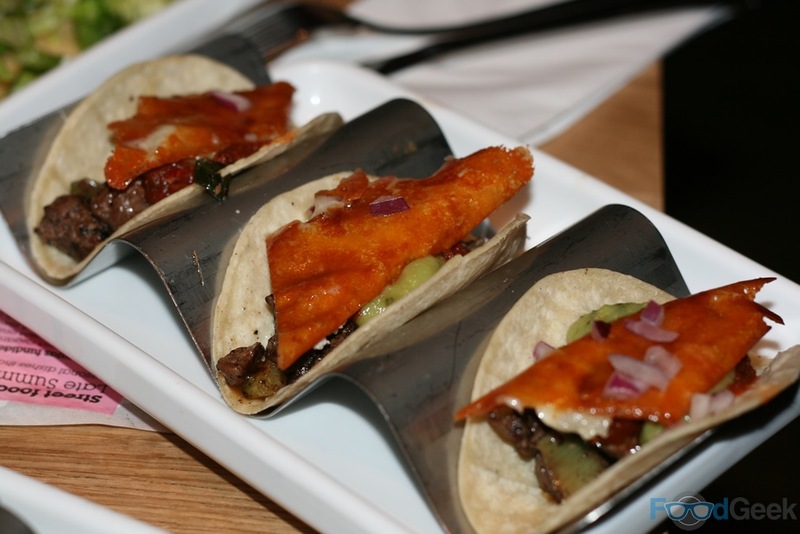 Next up something else I’m slightly obsessed with, ‘Tacos’. I thought my favourite would be the juicy skirt steak with chipotle, salsa and guacamole. 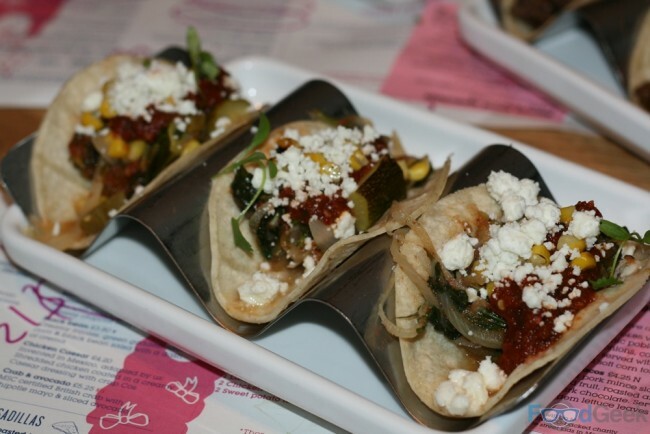 They were good but the veggie option was even better; sautéed cactus with courgette, tomato, corn and feta, a brilliant combination of flavours especially the addition of salty feta. I’ve eaten my fair share of tacos, burritos and quesadillas but I’m not sure I’ve ever had a ‘Taquito’ before. Tortillas are rolled and fried into crispy cigar shapes. red onion, then topped with shredded lettuce, salsa and chipotle mayo. Quesadillas are possibly my favourite Mexican street food dish. 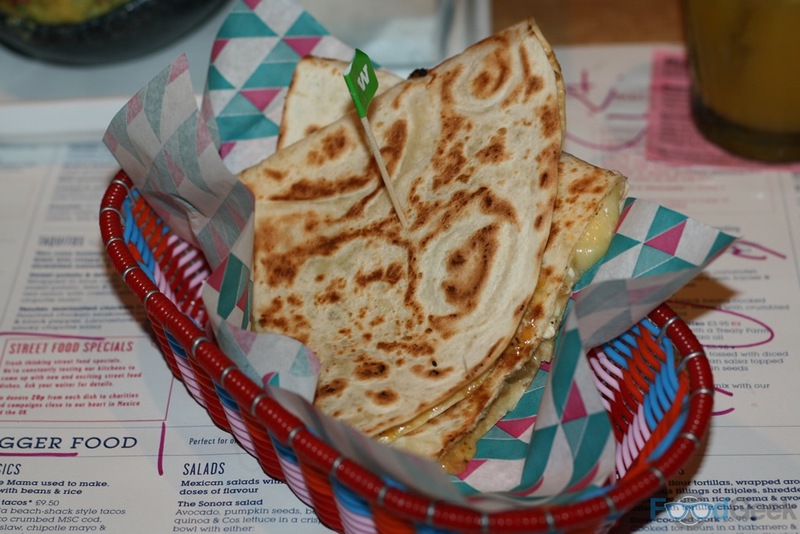 Wahaca’s ‘Chilli Quesadilla’ didn’t disappoint. A toasted tortilla stuffed with onions, jalapeño and habanero chillies and feta, stuck together with oozing melted mozarella. I would’ve liked much more heat from something supposedly containing jalapeño and habanero though, but at least there are plenty of hot sauces available for dipping. 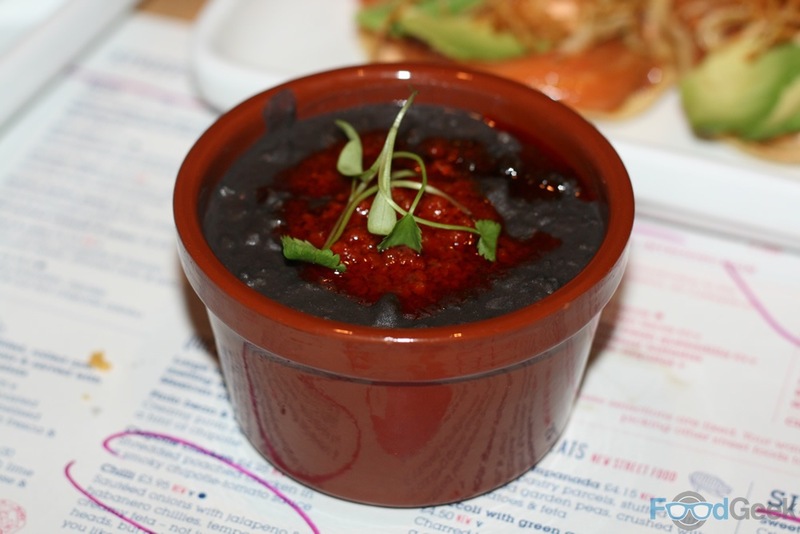 Another favourite are ‘Frijoles’ or black beans. Cooked down so they’re wonderfully thick, rich and creamy. 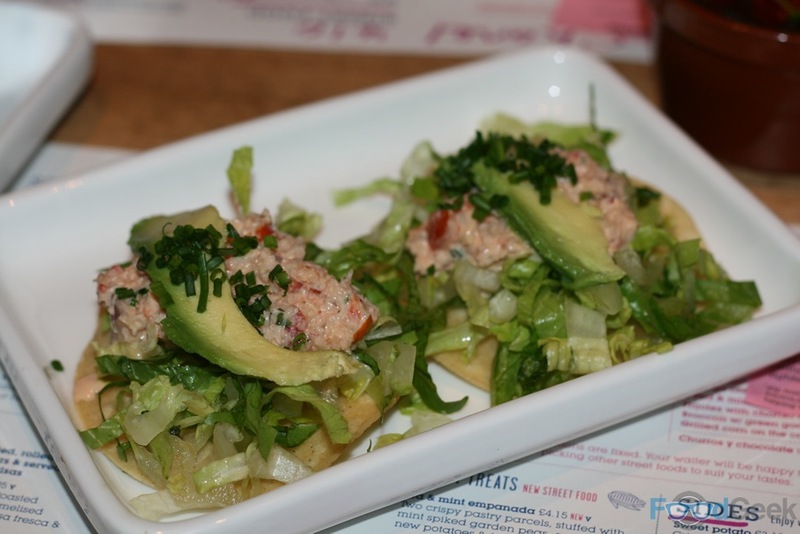 These came topped with sobrasada – Spanish cured sausage – and chorizo oil for a spicy, meaty edge. 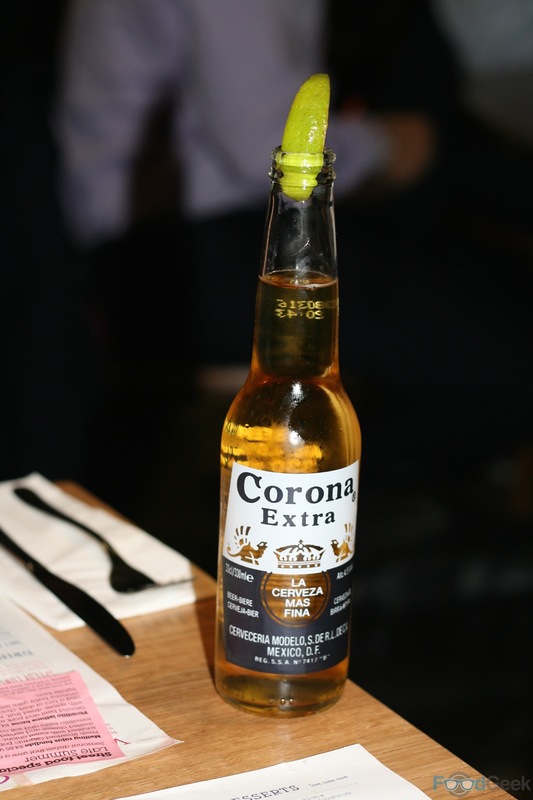 The only real negative thing I can say about Wahaca is that the beer menu is pretty poor. Containing just a few average Mexican beers. I get why they want to sell the likes of Corona and Modelo to people looking for ‘authenticity’ but it’d be nice to see some better, preferably local beers as well for those more concerned about the quality of their drink. It is only the beer selection that’s lacking though, the wine list looks good, the cocktails we tried were great and there’s even an excellent choice of ‘Mocktails’ and ‘Freshly Juiced Juices’. 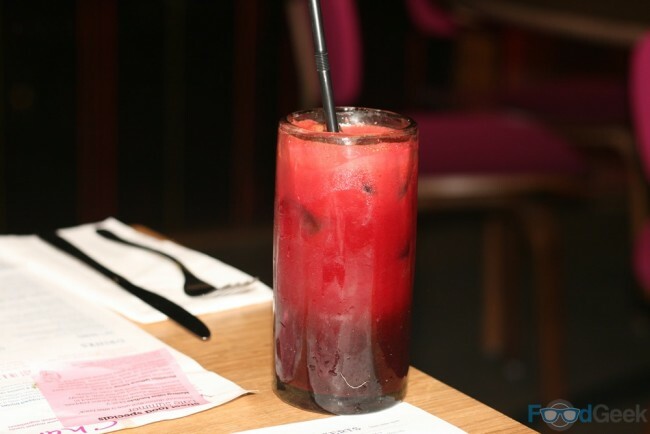 We tried a ‘Vampiro’; the vivid red drink – a combination of carrot, beetroot and ginger – it took a while to arrive but was well worth the wait. The dessert menu is fairly small but contains a few interesting dishes I’ve not seen before. 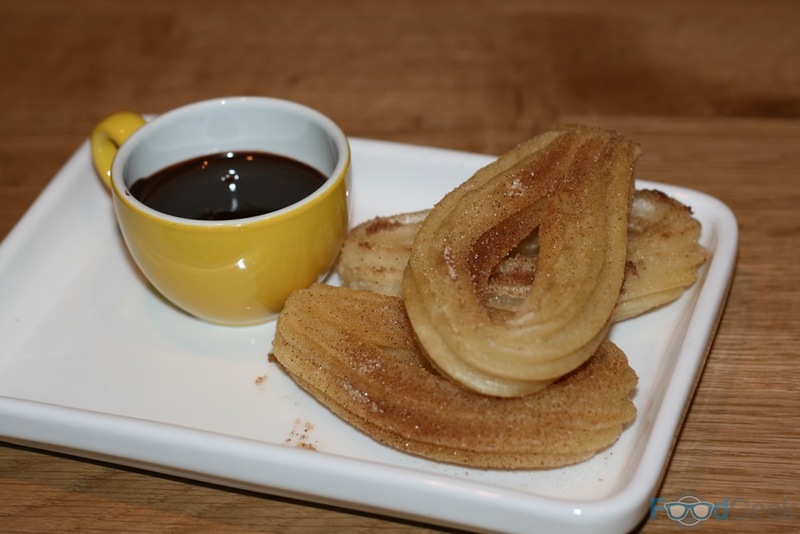 I really wanted to order one but in the end couldn’t resist going for yet another favourite, ‘Churros’. The Mexican doughnuts were absolutely perfect, light and fluffy inside with a crisp exterior. Served with a rich chocolate sauce on the side for dipping, there’s no better way to end a Mexican feast. 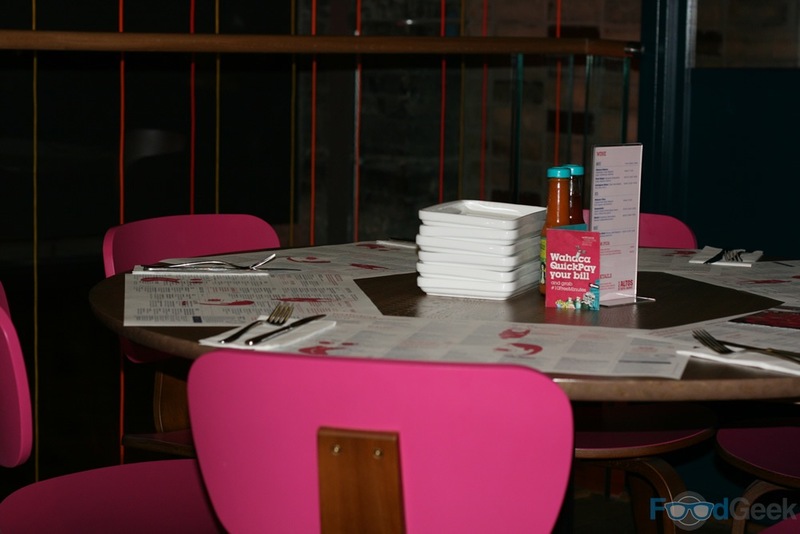 Service on the night was excellent, although some of the staff were clearly very new and a little nervous it was obvious they’d made an effort to learn about the dishes as they described them passionately and in great detail. I had a fantastic night and was even lucky enough to meet and chat to Thomasina. Unfortunately I went a little ‘fan boy’ and started gushing about my favourite recipes from her cookbook that I’ve had and loved for about five years. 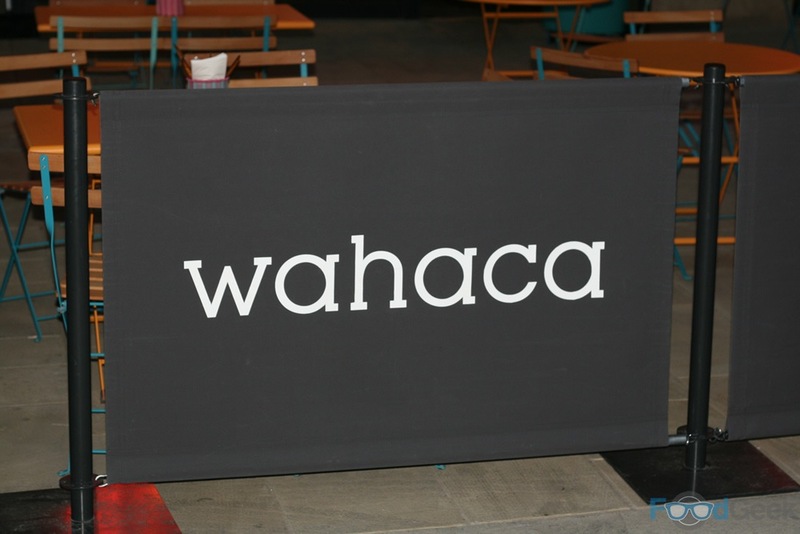 Wahaca is a great addition to Manchester; the food is fast, fresh, vibrant, colourful, full of flavour yet mostly pretty healthy. It’s really good value too. The biggest compliment I can give is that they’d only been open for a couple of weeks but the food and service was exactly the same as my previous visits to their established London restaurants. 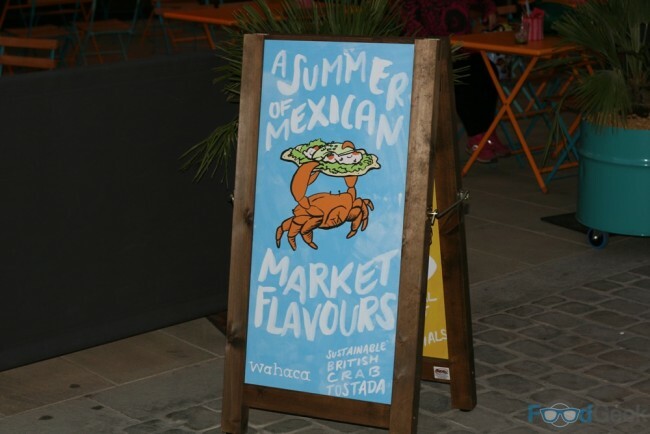 Disclaimer: I was invited to Wahaca on this occasion and not asked to pay. However I have been a happy paying customer many times before and will be again in future, especially now that I have one on my doorstep. Previous: Solita Prestwich – Is The Third Solita The Best Yet?